Available FURNISHED for $2950 or UNFURNISHED for $2800Reduce your commute with this beautifully renovated junior one-bedroom at 88 Greenwich! As you enter this immaculate space you are welcomed by a warm foyer with a huge closet, newly finished with smart California Closet design and modern sliding doors. 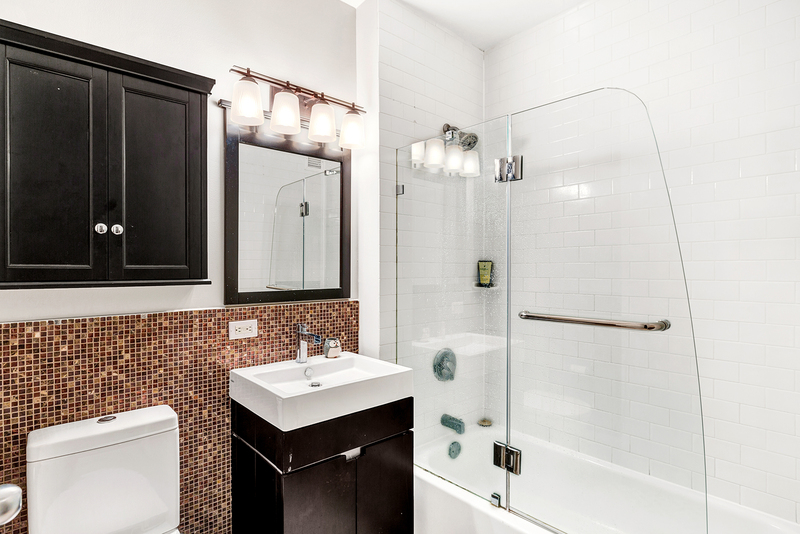 Your bathroom has been accented with Wenge cabinetry and high-end fixtures. The quiescent alcove with soft overhead lighting and wall-mounted TV houses your comfortable bed. 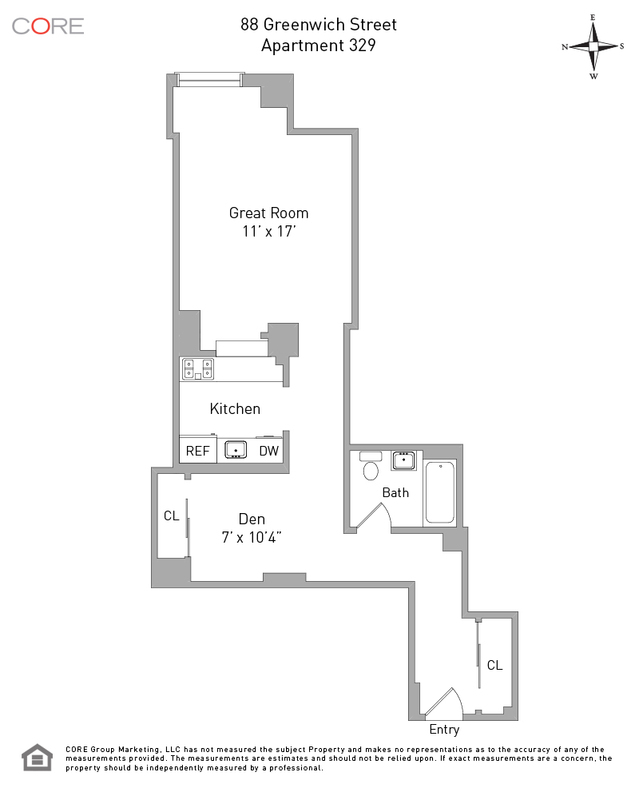 The kitchen has been adorned with stainless steel appliances, black lacquer cabinetry and white granite countertops. Your living room is the perfect haven of a tranquil night at home or can transform into a great space for entertaining. Facing the greenery of a Zen courtyard with light streaming in during the morning hours, you can enjoy your mornings working by your windowed office nook.